The Rempis Percussion Quartet is a free-improvising whirlwind that draws inspiration from a shared interest in West African and Latin American rhythms, coupled with American funk and free jazz. Using these influences, the band creates spontaneous music which nevertheless maintains a focus on ensemble motion and compositional structures. Led by saxophonist Dave Rempis (The Engines, Rempis/Rosaly Duo, Triage, Vandermark Five) the band originally formed for a house party in April 2004, and their performances maintain an unabashedly raucous energy based on relentless grooves and unrestrained blowing, tempered with occasional moments of quiet balladry. This quartet has toured regularly in both the US and Europe, with North American tours in 2006 and 2007, and European tours in 2008, 2009, 2010, and 2012 including several major European festival performances. The band has also released seven records, including the limited edition “Circular Logic” (Utech Records 2005) “Rip Tear Crunch” (482 Music 2006) “Hunter-Gatherers” (482 Music – 2007), “The Disappointment of Parsley (Not Two – 2009), and Montreal Parade (482 Music – 2011), and Phalanx (Aerophonic – 2013). Their most recent release, Cash And Carry, was recorded live in Chicago in fall of 2014, and came out on Aerophonic Records in June of 2015. The band will tour North America for the first time in eight years in October of 2015 in support of that release, and will tour Europe again in May of 2016. The Woodshed Orchestra was founded in 2005 by Dave Clark in order to celebrate friendship and love through music. Clark called upon some of the finest folks he knew from Toronto, Montreal and St. Catharines to make the gumbo boil and the people dance. The band plays Clark’s 200 strong original songbook as a full on electric band; drums, bass, guitars, horns and keys as well as in brass band formation a la the New Orleans 2nd line band tradition depending on the occasion. The players learn the tunes on the gig in front of the crowd, hence the name “Woodshed” in the title. They’ve created their own on stage language to navigate from song to song and to shift gears on a dime to awestruck audiences. The Woodshed has toured the West Coast and East Coast of Canada, all over Ontario and in Quebec, headlining main stages at festivals from Hillside, Discovery Coast, TO Jazz fest, Guelph Jazz Fest, Cultura fest, Nuit Blanche to Music Des Traditions Du Monde in PQ down to playing sold out shows down in Brooklyn NYC. The Woodshed Orchestra has been bubbling under and over for the past 8 years. 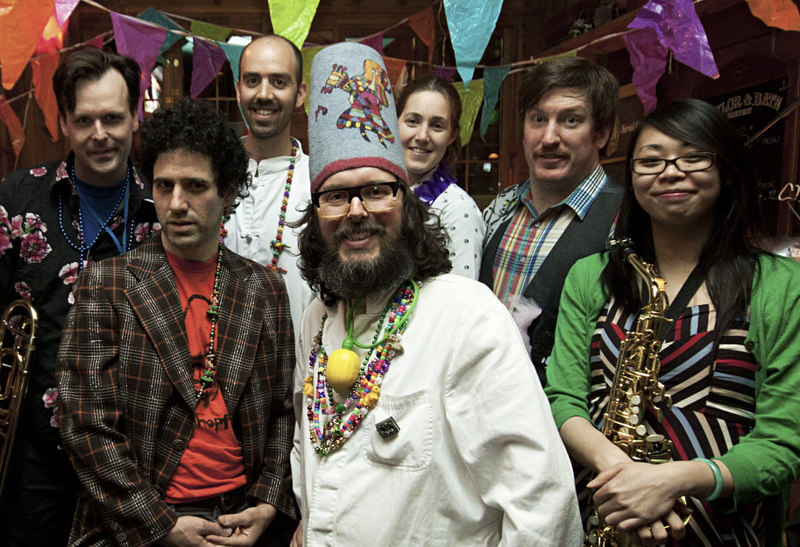 2011 saw their debut cd and an upsurge of festival gig work that lead to playing with Karl Denson’s Tiny Universe (USA), Etran Fiatawa (Eritrea) and a impromptu recording with Jon Langford of the Mekons (USA/UK). Their loving ode/video “Geddy Lee” to Geddy Lee of Rush got the thumbs up from Geddy himself! Their latest video “Love Letter to New Orleans” got the thumbs up from legendary New Orleans drummer John Vidacovich (Dr John, Professor Longhair, Astral Project). The band has even parade jammed with “The Screaming Eagle of Soul” himself, Mr. Charles Bradley. 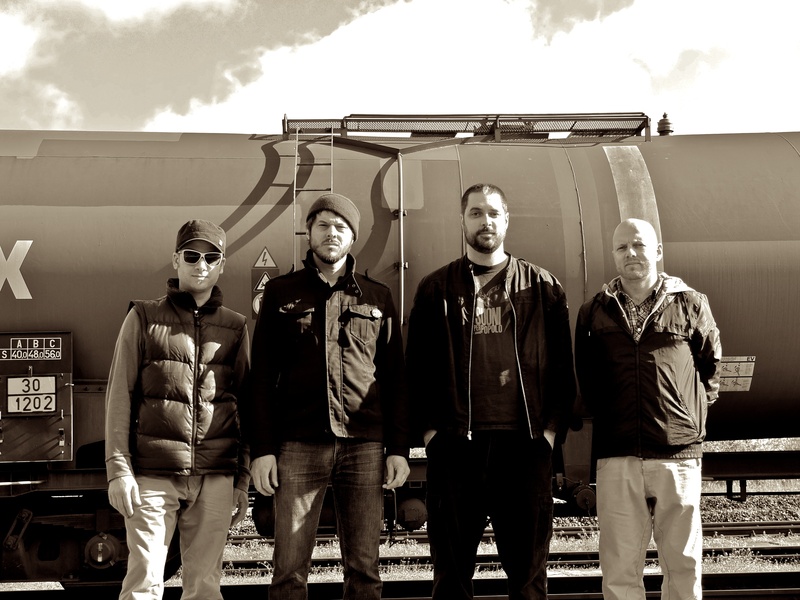 October 2013 sees the release of the band’s sophmore disc “Buzz”. The disc includes 12 songs that traverse the musical map as drawn by the band. The Woodshed hopes you enjoy it! 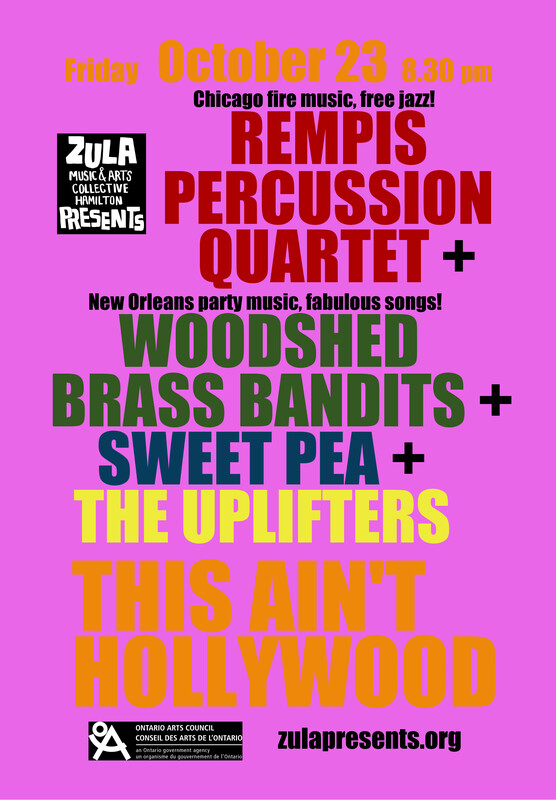 The evening will consist of Woodshed sub-groups Sweet Pea & The Uplifters followed by Rempis Percussion Quartet & Woodshed Brass Bandits. Buy tickets online here.